The new XPS 13. 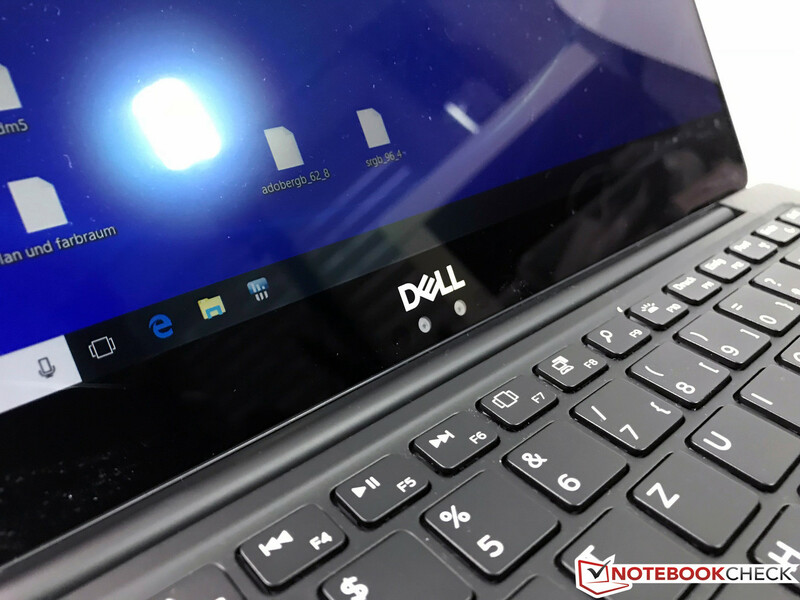 It has been a few years since Dell last showered its successful XPS 13 line with a major update. 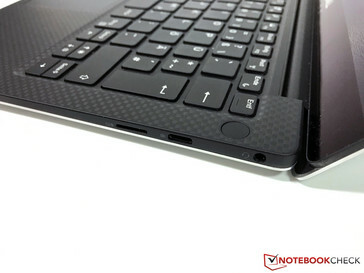 While the hardware has already been used in the older model, the new thinner case is supposed to make everything better. One improvement we have already been able to spot: CABC can be fully disabled at last. Update: The review is now complete. 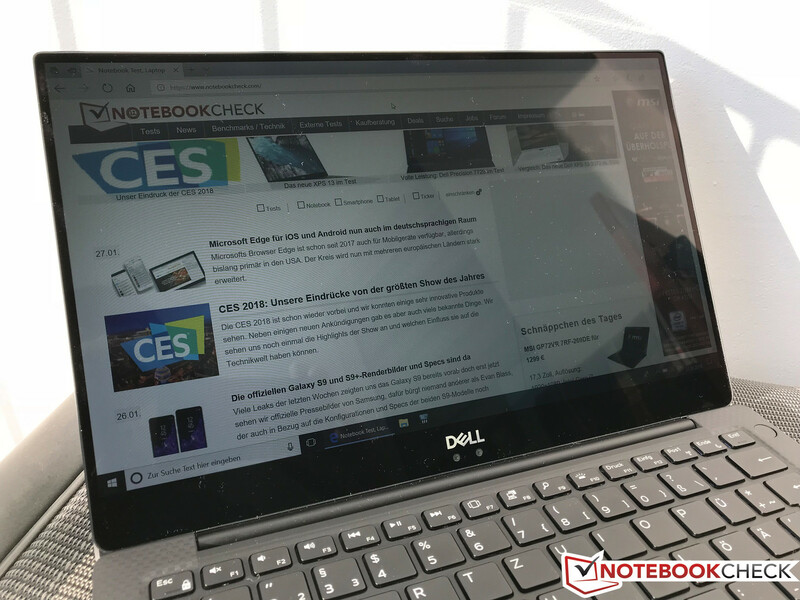 Dell’s XPS 13 has been one of the most compact sub-notebooks available for many years, but the competition has managed to slowly but surely catch up. While the Texan OEM has finally decided to update and refresh the XPS 13, this refresh is one that differs from all other updates we have encountered until now. 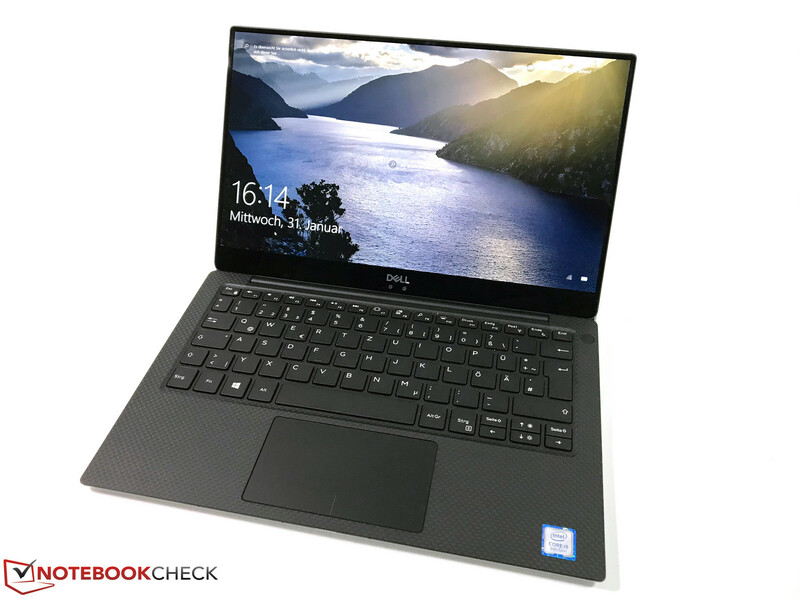 Dell has only redesigned the case, which is now thinner than ever before; the Kaby Lake-R processors this latest XPS 13 is equipped with can already be found in its predecessor, the XPS 13 9360. After being able to take a first look at the new XPS 13 during CES we now finally got our hands on a review unit. 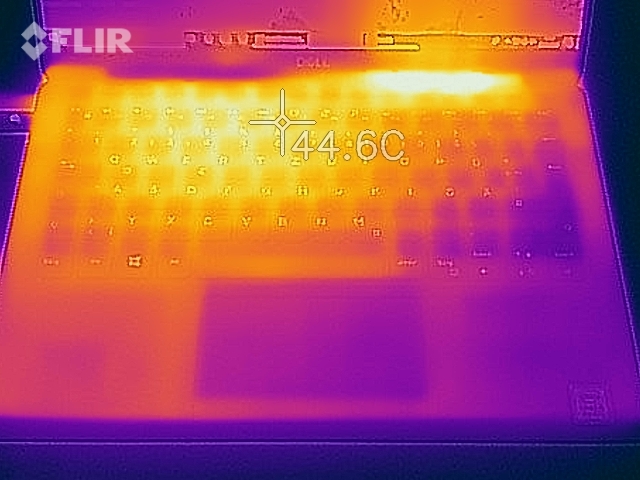 The temperatures are of particular interest to us given that Dell claims to have improved upon them drastically thanks to a new heat isolation layer and an extra fan. Intel’s latest ULV quad-cores struggled noticeably in the XPS 13 9360 and had massive trouble maintaining their high performance potential over long periods of sustained load. 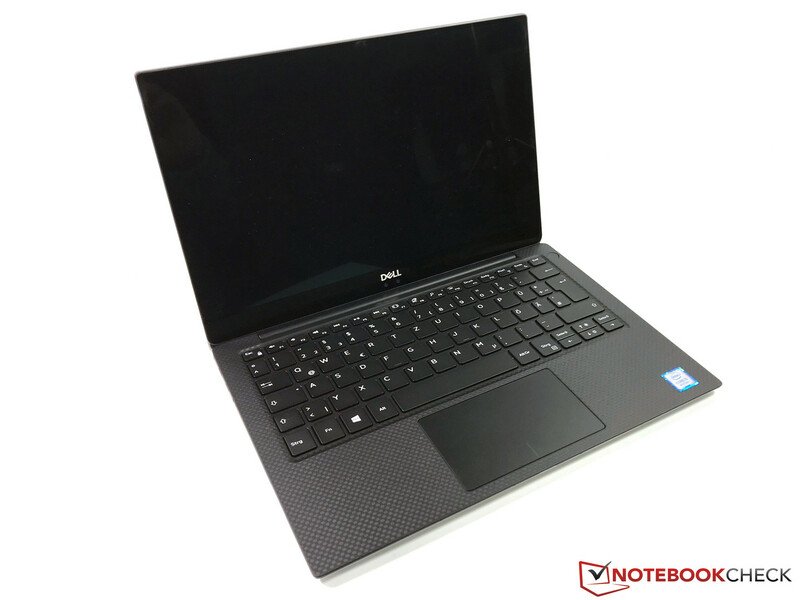 Today’s review unit is the brand-new XPS 13 9370 base model, which we have purchased directly from Dell’s own online web store. In exchange for 1,349 Euros (slightly over $1,650 at the current exchange rate), we received a current generation Core i5-8250U quad-core processor, an FHD display, 8 GB of RAM, and a 256 GB PCIe SSD. 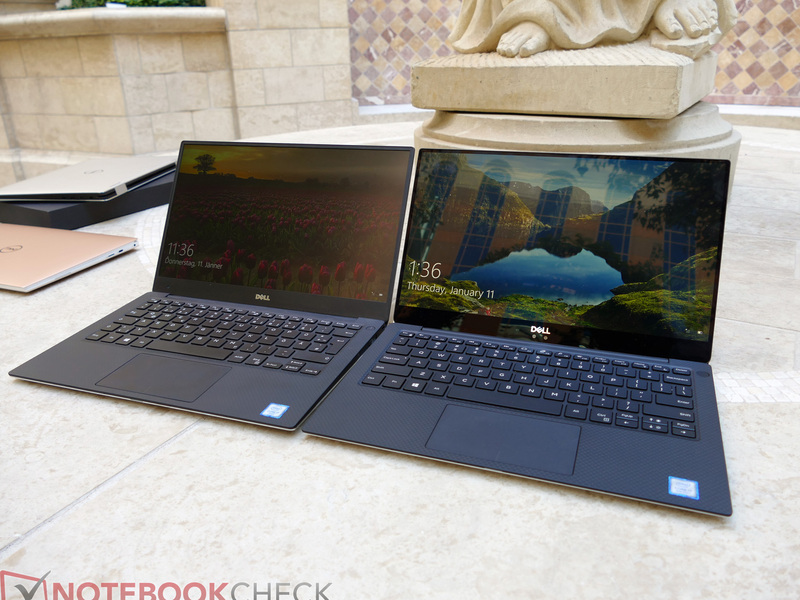 Obviously, the new XPS 13 calls for more than a simple comparison with its predecessor. 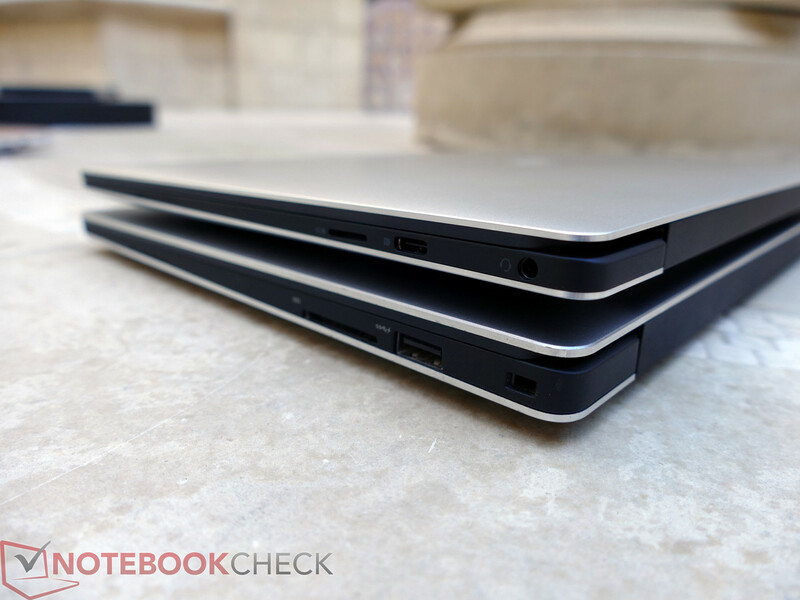 Thus, we will also include the Apple MacBook Pro 13 (no Touch Bar), the Asus ZenBook 13 UX331UN, the Huawei MateBook X, Microsoft's Surface Laptop, and the Razer Blade Stealth (13.3-inch) in our test group. 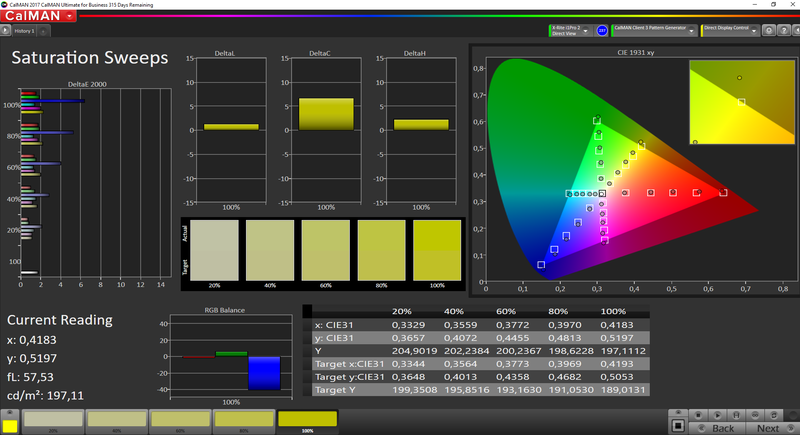 Our US colleagues already had the chance to review the 4K SKU and the review is available here. May 11, 2018 update: XPS 13 9370 owners have been reporting keyboard skipping issues when typing. 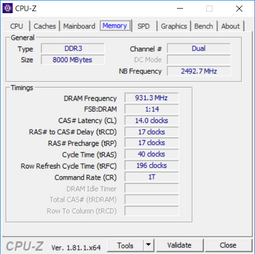 Of the three 9370 SKUs we've tested, one system exhibited this problem. While Dell has yet to release the promised hotfix, the (hopefully) temporary issue was not taken into account in our scoring. Looking at the new XPS 13 it is really very hard to tell it apart from its predecessor, particularly the classical Platinum Silver and carbon-fiber model. The only real difference is its thickness. The two new available color options, Rosegold and Alpine White, will obviously be much easier to tell apart, and they should become available in Europe around Feb 5 (estimated MSRP: 1,749 Euros, ~$2144). 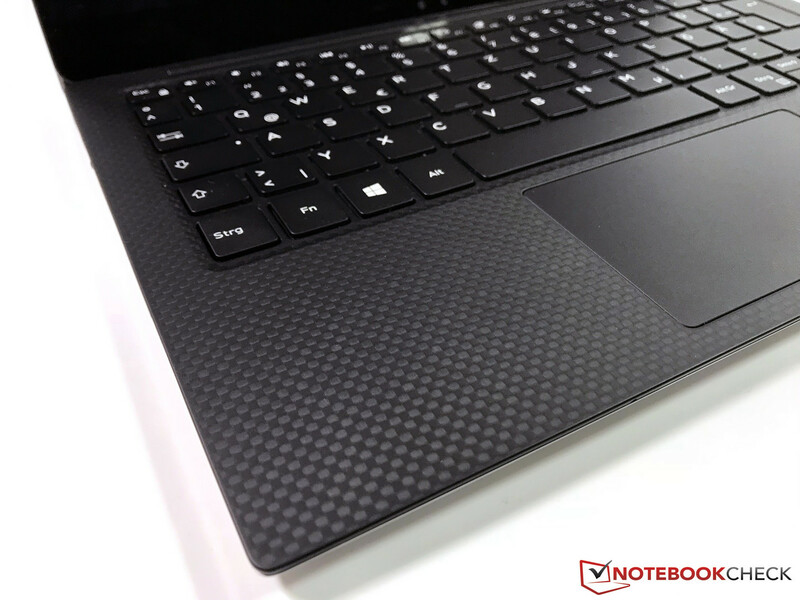 After a week of testing, the XPS 13’s surfaces have proven to be largely immune to scratches. The big unknown at hand for ever thinner laptops of course is rigidity. The base unit seems to have remained very strong and rigid in everyday use. While it’s true that the center of the keyboard flexes slightly under pressure, you will need to use a significant amount of pressure to do so. Normal typing pressure does not have any effect on the keyboard whatsoever. Compared to the old model, the new model’s base does warp much easier though. Our review unit creaked heavily when we tried to warp it due to very easily detectable frictional forces. Thus, it is not advisable to carry the laptop around holding the entire unit in one hand at one of the two front corners only. The display lid has become thinner as well, but unlike before it is now completely covered by an extra layer of protective glass regardless of display (aka even the non-touchscreen models are equipped with it). On the plus side, this results in a much more rigid display lid than before, and it even trumps the older non-touch XPS 13 9360 model. The lid barely reacts to torsional forces and only produces visible ripples on screen under enormous pressure from behind. That said, last year’s touchscreen model was even more rigid thanks to its slightly more robust and thicker design. Nevertheless, we were very satisfied with the overall rigidity. 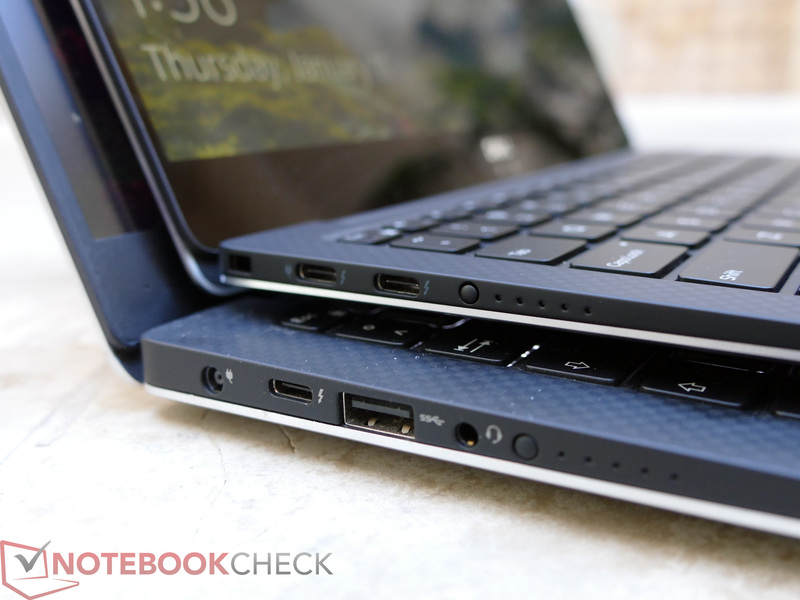 True, the base unit is not as stiff as it was anymore, but it still beats most other Ultrabooks. The bottom cover is secured in place with Torx screws - more on that in the maintenance section. The device’s footprint has remained largely identical, as can be seen in our size comparison below. It is barely noticeable even when compared side-by-side. 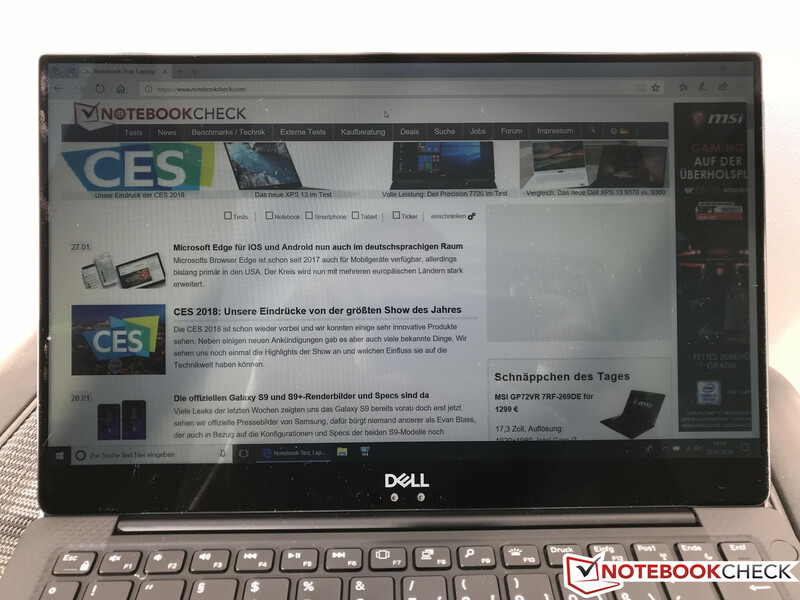 Its reduced thickness, however, is very noticeable when handling the device and the new XPS 13 is the most compact laptop in our test group. The new XPS 13 is equipped with two full-featured Thunderbolt 3 ports - including support for PowerShare and DisplayPort - on the left-hand side, and a single USB 3.1 Gen 2 port with support for PowerShare and DisplayPort on the right-hand side. According to HWiNFO64, both Thunderbolt 3 ports are connected to a PCIe x4 interface, which Dell has confirmed in the meantime. When benchmarked with an external SSD, we managed transfer rates of around 395 MB/s - the drive’s theoretical maximum. All three ports can be used for charging the laptop, and while we had no trouble with our 56.6 W USB-C charger the notebook refused to charge when connected to a power bank. According to the error message shown on screen (see above), a charger capable of at least 27 W of charging power is required. The complete lack of USB-A means that users are pretty much lost without the correct dongle. While we highly welcome the fact that more and more modern notebooks charge exclusively via USB-C and manufacturers are slowly starting to include USB-C cables with their peripherals (see for example Samsung’s T5 SSD), most external hardware will require the use of a dongle. Thankfully, Dell is more than aware of that and includes one in matching color in the box. After two days, we were somewhat disappointed with the USB-C ports on the new XPS 13: They started to develop noticeable play. Cables attached directly, such as for example the power supply, showed some substantial wiggle room, and this was further intensified with some dongles, e.g. when using our spectrophotometer that disconnected once during our tests. 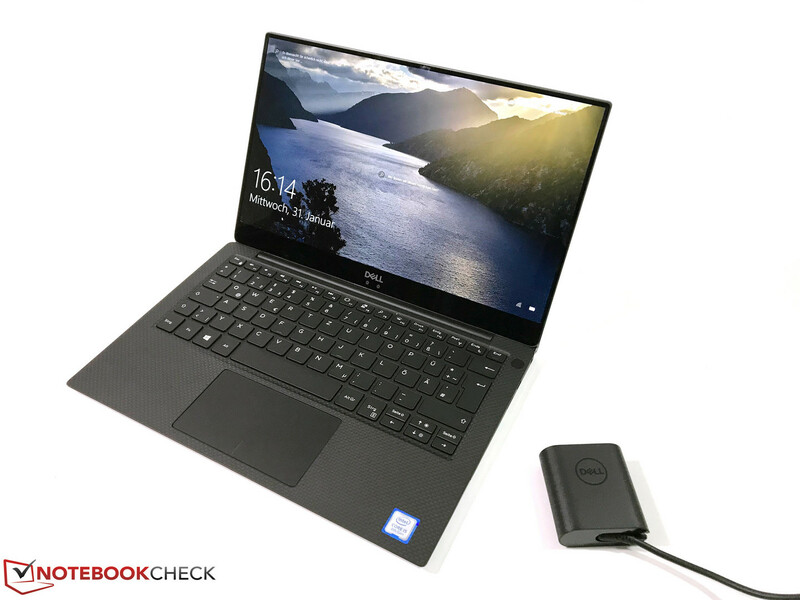 Following the current trend, Dell has also decided to remove the full-size SD card reader from the XPS 13 for good. This is particularly unfortunate because Dell has a history of providing its laptops with incredibly fast SD card readers with the potential to render external card readers obsolete. 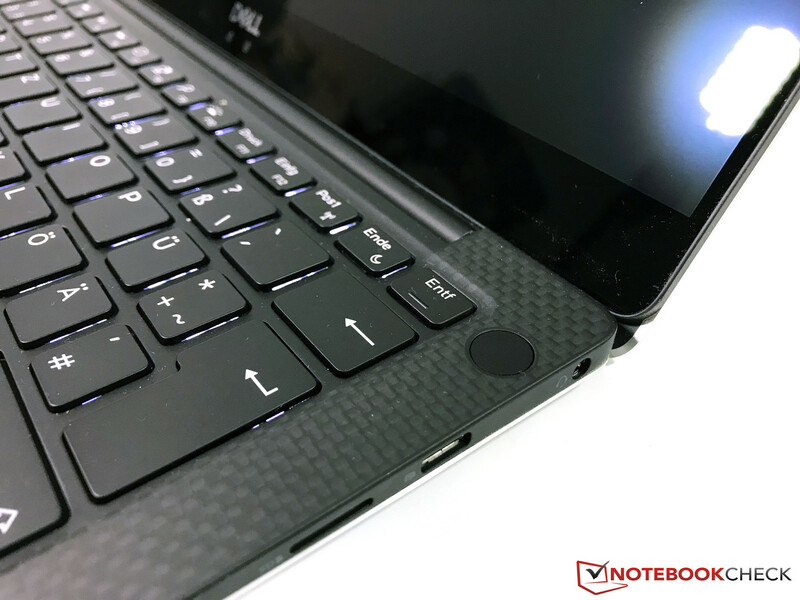 Instead, the new XPS 13 now features a microSD card slot on the right-hand side, and fortunately it is just as fast as we were hoping for. Using our microSD reference card (64 GB Toshiba Exceria Pro M501 UHS-II) the internal card reader managed between 180 and 200 MB/s. When fully inserted, a microSD card sits flush, and the reader can thus be used for the purpose of permanent storage extension. A 2x2 MU-MIMO Killer 1435 Wi-Fi modem with support for 802.11 a/b/g/n/ac in both bands, 2.4 and 5 GHz, is in charge of wireless communication. The XPS 13 9370 fails to fully take advantage of its theoretical maximum bandwidth of 867 Mbit/s but still delivers an impressive 588 Mbit/s and 557 Mbit/s (receive/transmit) when standing at a distance of 1 m (3 ft) from our Linksys EA8500 reference router. Bluetooth 4.1 is supported and wired Ethernet connections will require the use of a Thunderbolt 3 adapter. We experienced some Wi-Fi issues over the course of the review. The laptop did not connect to any wireless networks after longer standby phases on two occasions, and only a restart fixed the problem. We also noticed occasional connection drops in combination with the 5 GHz network of our Fritz!Box 7490. The 2.4 GHz connection as well as the reference router Linksys EA8500 (both 2.4 as well as 5 GHz) on the other hand worked perfectly. We updated the preloaded Killer software and did not experience any issues so far. 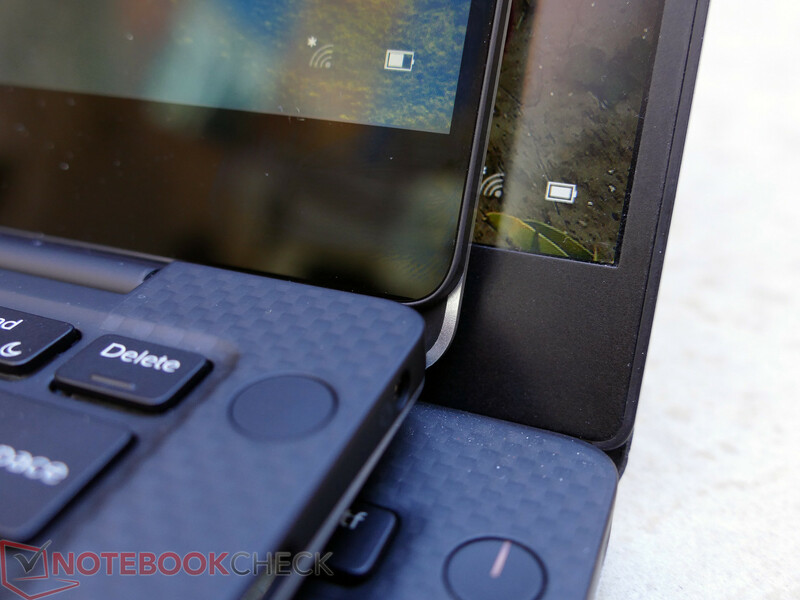 Besides the TPM chip, Dell also implements a fingerprint scanner in the power button. This means Windows Hello provides three different possibilities to unlock the system: password/PIN, fingerprint, facial recognition. The latter can be a bit problematic due to the unusual camera position, because it might not get the whole face at a normal display angle. We had to tilt the display slightly further towards the back, for example. Both methods worked very reliably, though. In addition to the notebook itself and some service booklets we only find the compact 45 W USB-C power brick and the aforementioned USB-C to USB-A adapter in the box. Optional accessories offered by Dell include additional dongles, bags, and docking stations. One of our review unit’s Torx screws was so tight we were unable to undo it. The photo below thus depicts the internally absolutely identical white 4K SKU. There really isn’t much to do anyway - the battery and M.2 SSD are user-replaceable but that’s about it. Everything else, including the Wi-Fi modem, is soldered onto the motherboard. 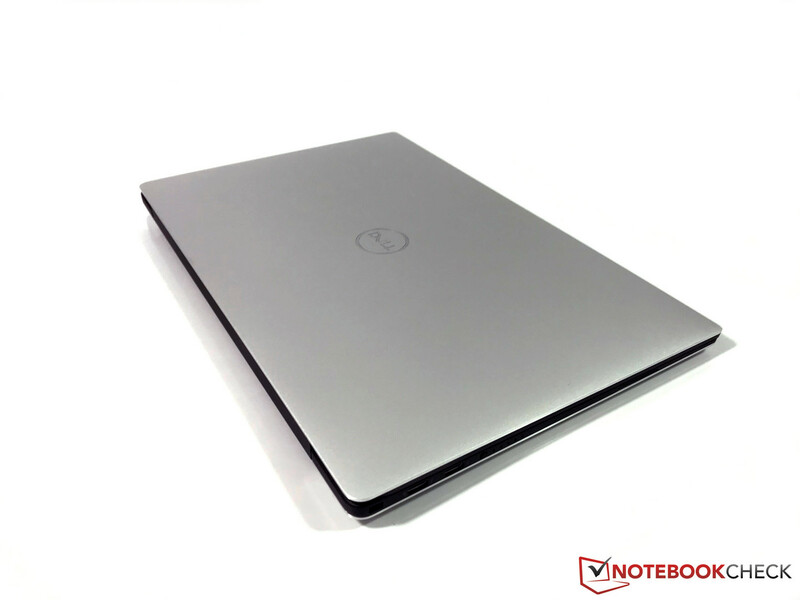 By default, Dell notebooks are sold with a 12-month limited warranty. It can be extended to up to four years and prices vary depending on region. Both input devices have been taken straight from the XPS 13 9360, which is why we don’t really have anything to add. The two-stage backlit keyboard offers very decent travel, especially considering the device’s thinness. We have absolutely enjoyed typing on this keyboard and had no trouble whatsoever writing longer texts. If only the cursor keys were bigger they wouldn’t need that much getting used to. The Microsoft Precision touchpad worked flawlessly and had no trouble with short and minimal mouse cursor movements. The surface is very smooth and a pleasure to work with. One of the few hardware changes between the old and the new model is the display. Instead of the previously offered QHD+ display (touchscreen, 3200x1800 resolution) Dell is now offering a 4K display (3840x2160). As before, the upgraded 13.3-inch display is a reflective touchscreen. That said, the base unit in review today is equipped with an FHD display. After unboxing the device we were fairly surprised to find a reflective instead of a matte non-touch screen. 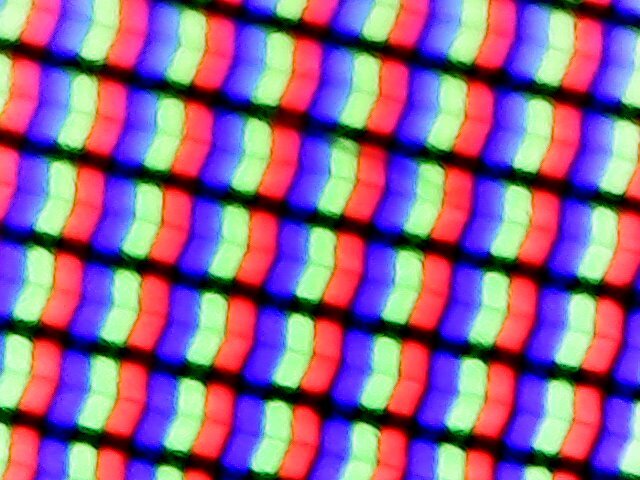 The same glass cover that can be found on the 4K touchscreen model was also sitting atop our FHD display, and we suspect that it’s required to ensure rigidity of the otherwise very thin display lid. 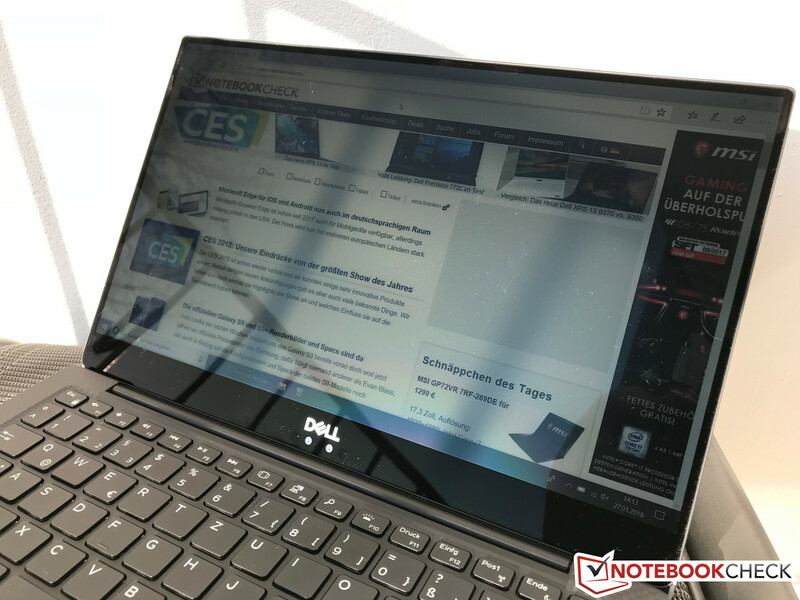 While Dell is officially referring to this display as non-glossy we strongly disagree with this development. Those of us who travel frequently or are not in charge of the lighting situation are out of luck. Light sources reflect very noticeably on the display. One big issue affecting all previous XPS 13 models was CABC, or in other words adaptive display brightness control. 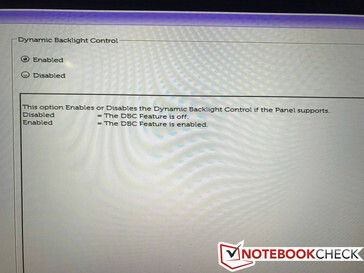 Only recently did Dell provide XPS 13 9350 and 9360 FHD owners with a patch allowing them to disable CABC, and fortunately the 9370’s BIOS setup includes a “Dynamic Backlight Control” option albeit limited to panels that support it. Out of the box, dynamic backlight control was disabled on mains but enabled on battery. Since the FHD panel does support it, we were able to disable CABC in the BIOS setup completely. We are of course going to get into further detail and its effect on battery life in the course of this review. 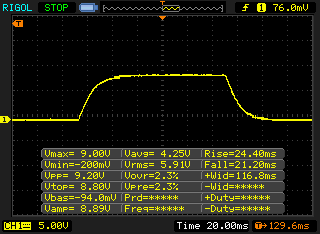 At brightness levels of 20% or below, the panel utilizes PWM at a comparatively high frequency of 1 kHz to dim the display. 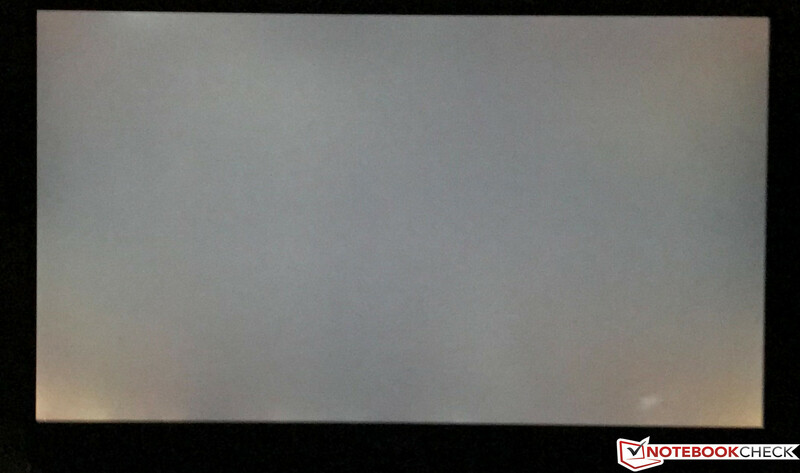 There is also some backlight bleeding at the edges. Our test model also suffered from a slightly brighter spot at the lower right edge, which is noticeable on darker backgrounds. 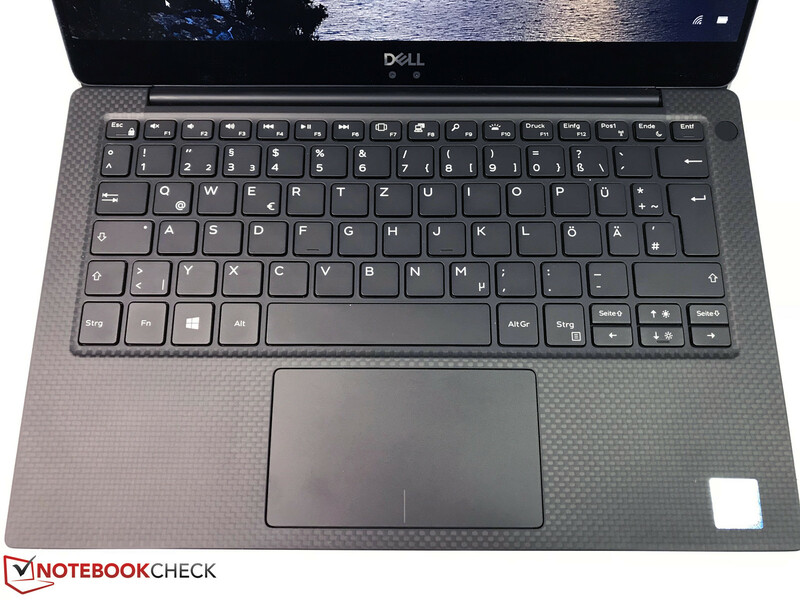 However, we expect this to be an isolated incident and you should definitely contact Dell or your local dealer if you notice such a spot on your laptop. The display backlight flickers at 1008 Hz (Likely utilizing PWM) Flickering detected at a brightness setting of 20 % and below. There should be no flickering or PWM above this brightness setting. 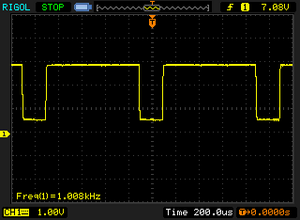 The frequency of 1008 Hz is quite high, so most users sensitive to PWM should not notice any flickering. 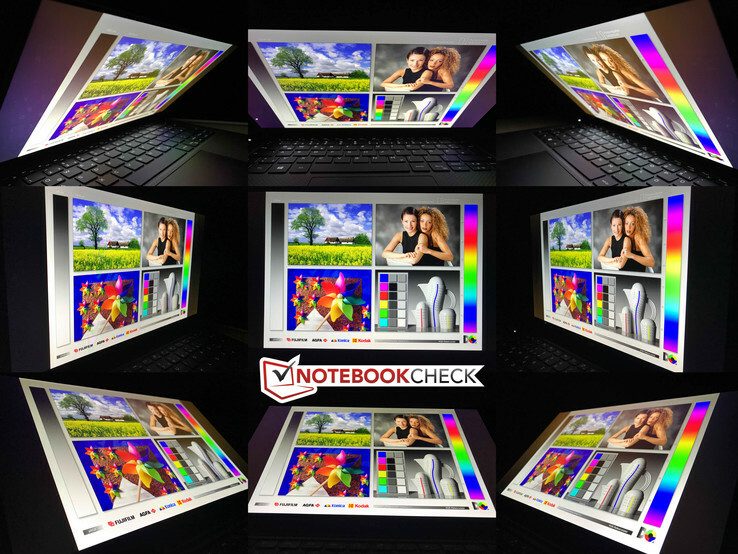 The IPS panel’s average brightness of 405 nits is lower than that of the 4K touchscreen model (469 nits) but its black level of 0.26 nits is much better in return. Consequently, the resulting contrast ratio of more than 1,600:1 turned out to be very good. Subjectively, image quality was excellent and we failed to notice any color tints. Our CalMAN readings further reinforced this first impression and found only a very insignificant green/blue tint in grays which was completely unnoticeable in everyday use. Average DeltaE deviations of 4.4 (grayscale) and 3.8 (colors) were somewhat higher than on the 4K display, but they were still low enough to not require calibration if you’re not planning to use the XPS 13 for photo-editing purposes. Calibration improved the grayscale representation and lowered its DeltaE deviation to 1. 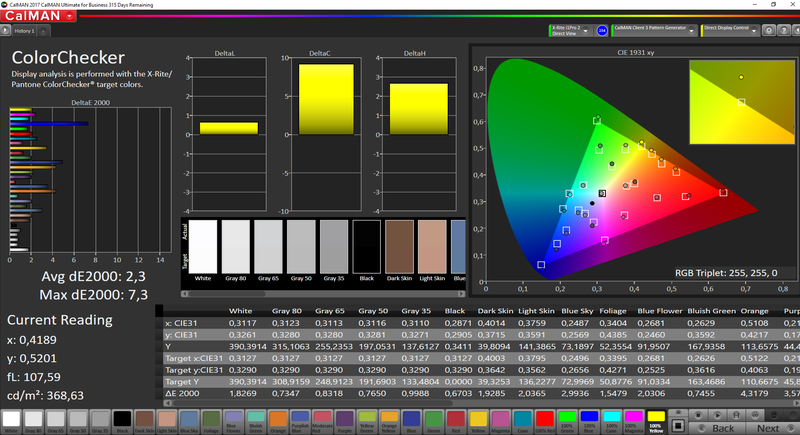 Color temperature was improved, and we saw some improvements in color representation as well without addressing the comparatively high deviations for blue and orange colors. 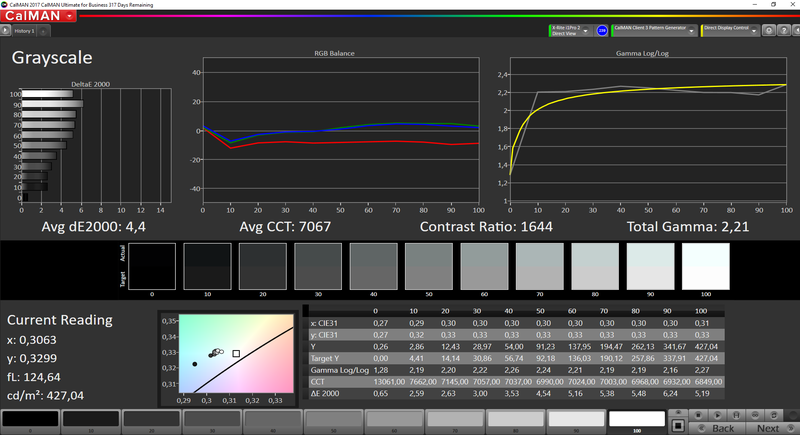 The optional 4K panel showed similar discrepancies for blue colors at first, but we managed to lower its maximum deviation to 3.81 through calibration. 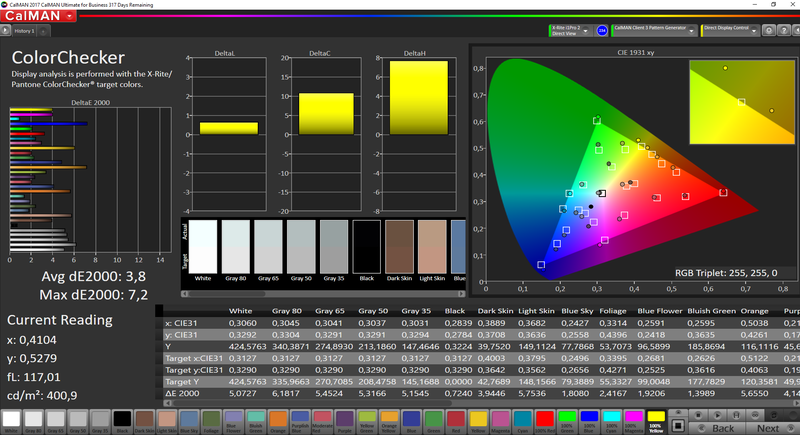 Color-space coverage was only slightly better on the 4K panel. The response times of the panel are very slow, even for IPS standards. This is the case for our 1080p SKU as well as the 4K version of the new XPS 13 9370. The extremely slim bezels require special panels, and this is one disadvantage. You can also see some ghosting in practice, especially on cursor movements. This is no problem during movie playback, for example, but you can notice it when you play fast first-person shooters. We took advantage of the nice weather outside and took some photos in direct sunlight. 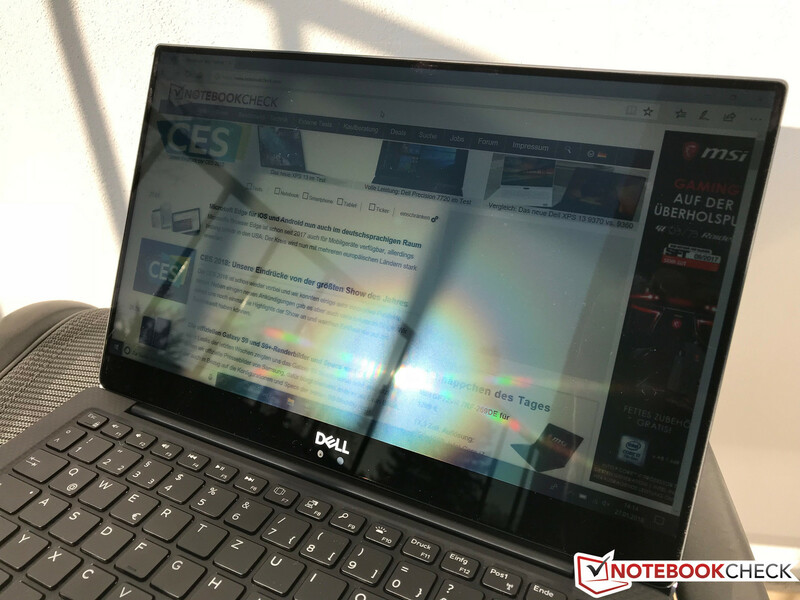 Overall, the new XPS 13 9370 performed surprisingly well despite its reflective display. As long as you can avoid direct reflections from behind, it should remain readable in sunny conditions thanks to its high maximum brightness. Obviously we would have preferred a matte display panel but truth be told we have seen much worse reflective displays. 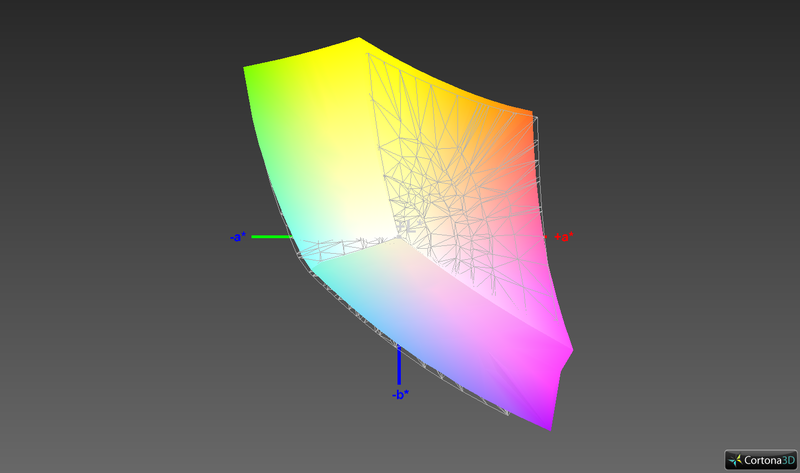 The IPS display provides wide viewing angles from all directions without color distortions. The reflections will probably be a bigger issue from wider angles. As already mentioned, the internal components have remained unchanged from the XPS 13 9370’s direct predecessor. Users can choose from two current generation quad-core processors (i5 & i7), and a dedicated graphics chip is not available. 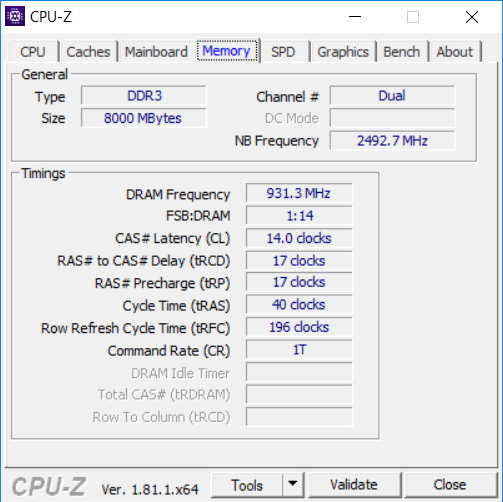 RAM (LPDDR3) is soldered onto the motherboard, and potential buyers have the choice between 8 GB (1,866 MHz) and 16 GB (2,133 MHz). For mass storage purposes, PCIe SSDs with capacities of 256 GB to 1 TB are available. Note: There are only two power plans by default: Dell and Balanced. We performed our performance and emissions tests with the Balanced profile and adjusted the Windows performance slider (left click on the battery symbol) depending on the scenario. 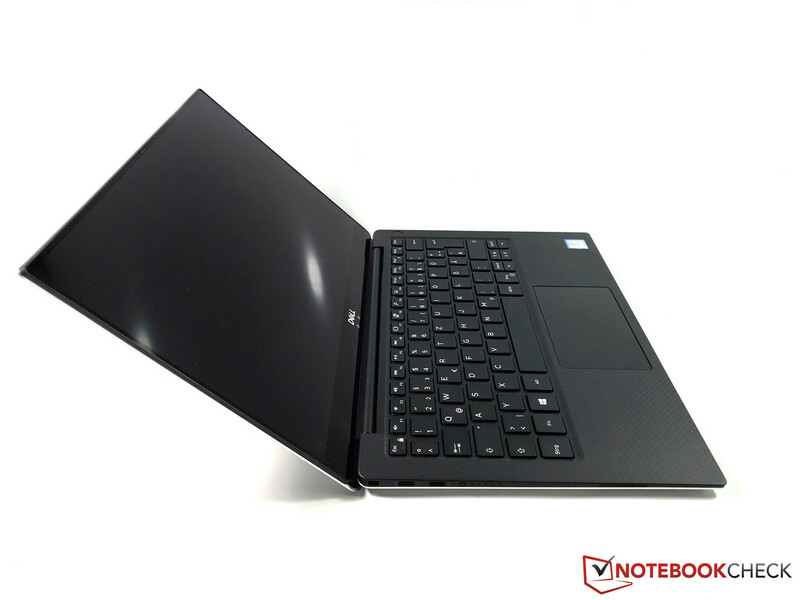 The new model is equipped with the same Kaby Lake-Refresh microprocessors as its predecessor, the XPS 13 9360. Unlike previous ULV models, the new processors offer a total of four physical cores and thus a much higher performance in multi-threaded workloads. 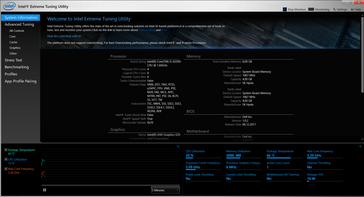 Their base clock speed is only 1.6 GHz, but the CPU can turbo boost up to 3.4 GHz. 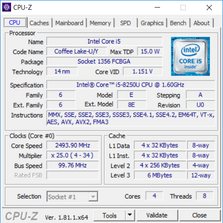 More Core i5-8250U details can be found here. We have to keep in mind that at the end of the day, the Core i5-8250U is still a 15 W CPU. 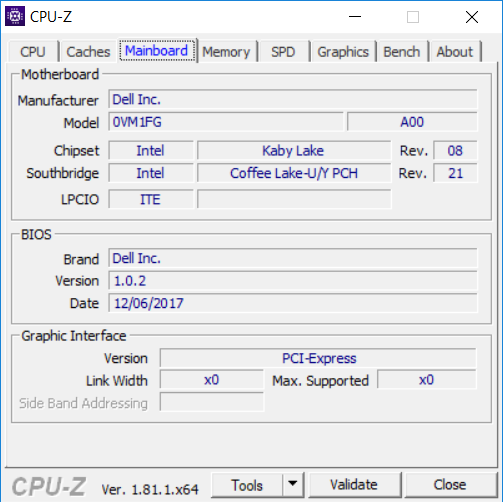 We have seen many current laptops equipped with these new quad-core CPUs struggling with sustained load, including the XPS 13 9360. These laptops performed well when equipped with dual-core CPUs but hit a thermal ceiling when sporting the new quad-cores and started throttling substantially. Simply put, the cooling solution was insufficient for a quad-core that consumes more than 30 W at full turbo boost (4x 3.4 GHz). Because of this limitation, Dell has added a second fan and installed an additional heat insulation layer referred to as “GORE”. We’re very eager to see the effects of these upgrades. Dell has opted to increase the long-term TDP limit from 15 W to a much higher 26 W. In single-core tests, we saw the CPU running at its full 3.4 GHz, consuming around 11 W of power and achieving a similar performance as the older dual-core i7 CPUs. 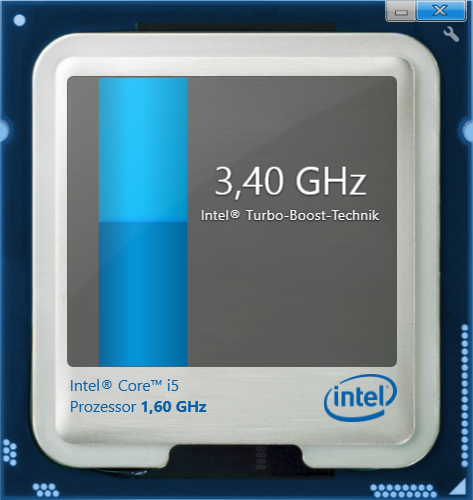 The multi-threaded test started out at 4x 3.4 GHz, resulting in a whopping 37 W power consumption. To nobody’s surprise the thin case was incapable of dealing with that much heat, and the CPU quickly shot up to 98 °C. At that point, the frequency dropped to 4x 3.2 GHz and was reduced even further to 2.8 - 2.9 GHz (26 W) shortly afterwards - all within the first run. These clock speeds are still sufficient to ensure a very high score of 669 points and first place in our test group. 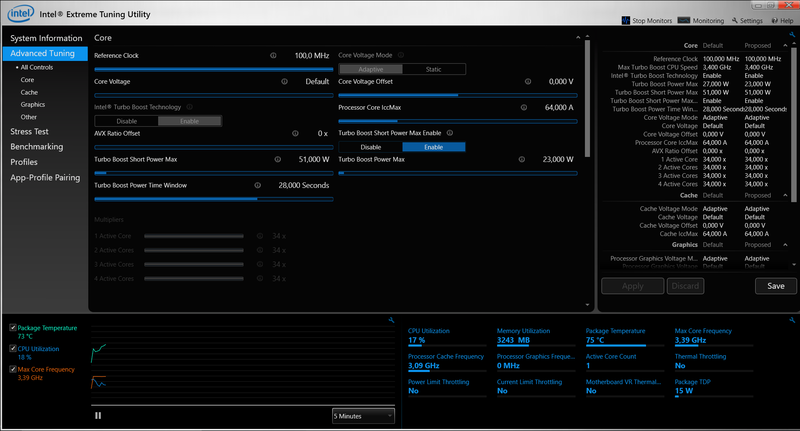 As expected, the second iteration of our Cinebench R15 multi-thread loop yielded a much lower benchmark score, and the scores eventually settled around 600 points and even improved to cross that threshold in the end. 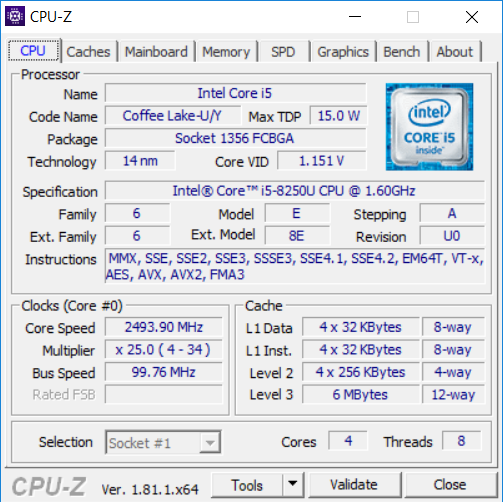 The average score after 50 iterations was 583.6 points (averaging 2.7 GHz, 89 °C, and 24.2 W), and thus significantly higher than with the older (and thicker) XPS 13 9360 (around 520 points). We can thus conclude that the new cooling solution is more efficient and works better overall despite the new XPS 13’s thinner case. Generally speaking, performance is impressive for a case that thin, as the device manages to dissipate 24 W of heat over long periods of time, thereby significantly surpassing Intel’s 15 W target design. It also means that a much stronger cooling solution will be required to fully utilize the processor’s turbo boost, and accordingly the optional Core i7-8550U will only make sense if you require maximum single-thread performance. Otherwise, the price premium is simply not worth it. Performance is slightly lower on battery (33 W maximum, then around 23 W), but a score of 586 points is still fairly impressive. 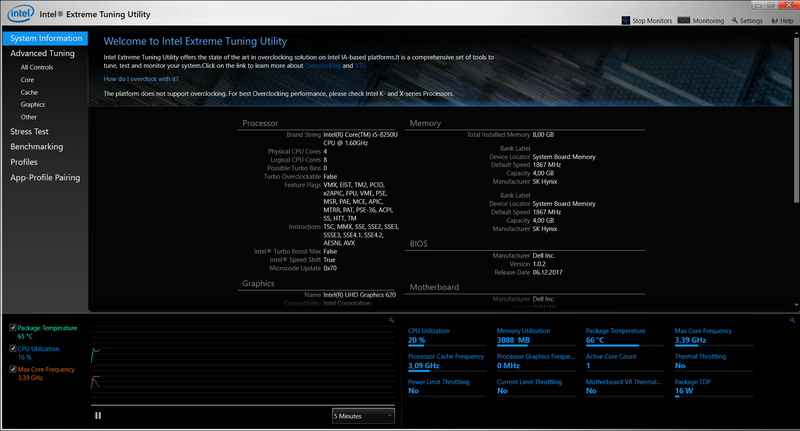 Additional information and benchmarks for the i5-8250U can be found in our technology section. 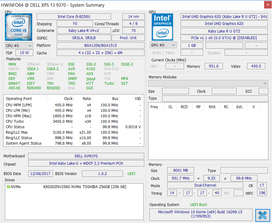 As expected, the new XPS 13 9370 is a very fast and snappy system. We haven’t had any issues during our tests, and this highly subjective observation was further reinforced by the device’s excellent benchmark results. Only the Apple MacBook Pro 13 managed to outperform the new XPS 13 in the synthetic PCMark benchmark thanks to its more powerful GPU. All other competitors, including the 4K SKU, were easily outclassed; the only exception was in PCMark 8’s Creative Test in which the XPS 13 equipped with the more powerful Iris GPU was faster. All XPS 13 9370 models on offer in Germany are equipped with a fast PCIe SSD and a capacity of at least 256 GB. In fact, both of our review units were equipped with the exact same Toshiba XG5 SSD, and our review unit at hand managed read and write speeds of 2,770 MB/s and 1,077 MB/s, respectively. Thus, the new SSD offers a much higher read performance than its own predecessor XG4 that the XPS 13 9360 with Iris Graphics was equipped with. Swapping out the SSD is only going to be worth it if you absolutely require more storage space. As is very common for PCIe SSDs made by Toshiba, the AS SSD benchmark results are worthless mumbo jumbo. An overview of many SSDs and their respective performance levels can be found here. 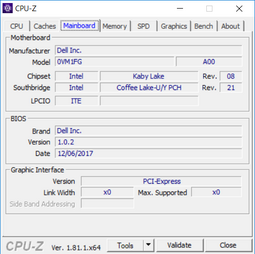 Dell only ships the XPS 13 with integrated GPUs, so all the graphics calculations are handled by the UHD Graphics 620 of the processor. 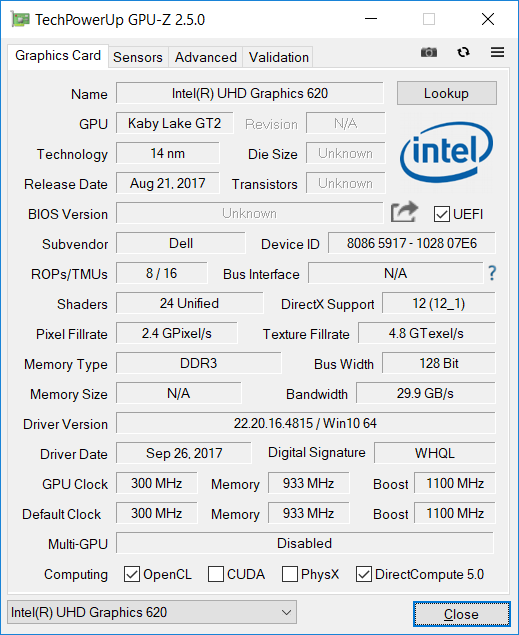 It is a rebranded HD Graphics 620 that we know from the old Kaby Lake chips. 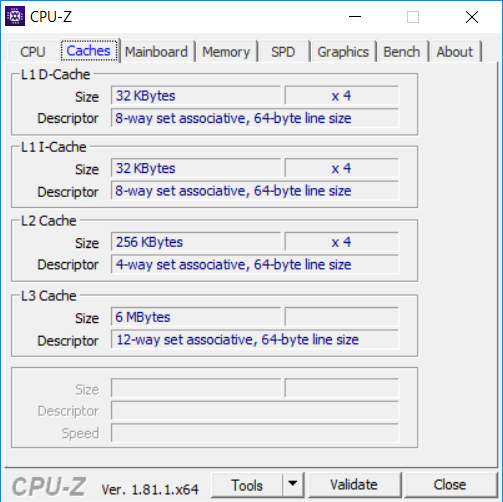 The GPU can reach a maximum core clock of 1100 MHz in combination with the Core i5-8250U and should be able to utilize its full potential thanks to the dual-channel memory configuration. It is not confirmed whether the XPS 13 will be available with more powerful Iris GPUs similar to the predecessor. The UHD Graphics 620 performs above average in the synthetic 3DMark benchmarks, but the 4K sibling is still a bit faster. 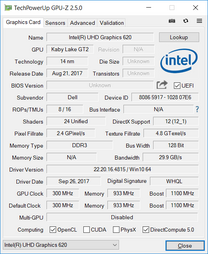 The Iris GPU of the old XPS 13 9360 also has an advantage of more than 20%. The GPU performance is obviously not sufficient for modern AAA games (also see next section), but it is a good choice for multimedia playback and streaming, including for high-resolution videos. The GPU performance is not reduced on battery power. More benchmarks with the UHD Graphics 620 are listed here. You should focus on older or less-demanding titles if you plan on using the XPS 13 for some gaming. BioShock Infinite, for example, runs smoothly on the medium preset and Rocket League is also enjoyable with reduced details. You can attach an external GPU via Thunderbolt 3 for more GPU performance. TB 3 is only attached via two PCIe lanes, but the performance should still be very good as long as you connect the external monitor directly to the eGPU. Also see our dedicated article for more details. A problem the XPS 13 has become infamous for is its coil whine. Fortunately, our review unit did not exhibit any noticeable and bothersome coil whine; only once did we notice a very pronounced whine coming from the Toshiba SSD while were performing our SSD benchmarks (CDM 5). That said, we did manage to locate a very quiet coil whine, but it was only noticeable with our ears placed directly on top of the device. We will, of course, keep our eyes (and ears) open and on full alert. Unfortunately, we heard the dreaded loud electronic noise several times while running our tests and benchmarks. It was particularly noticeable when scrolling through a website in the browser and even more pronounced when using the webcam. 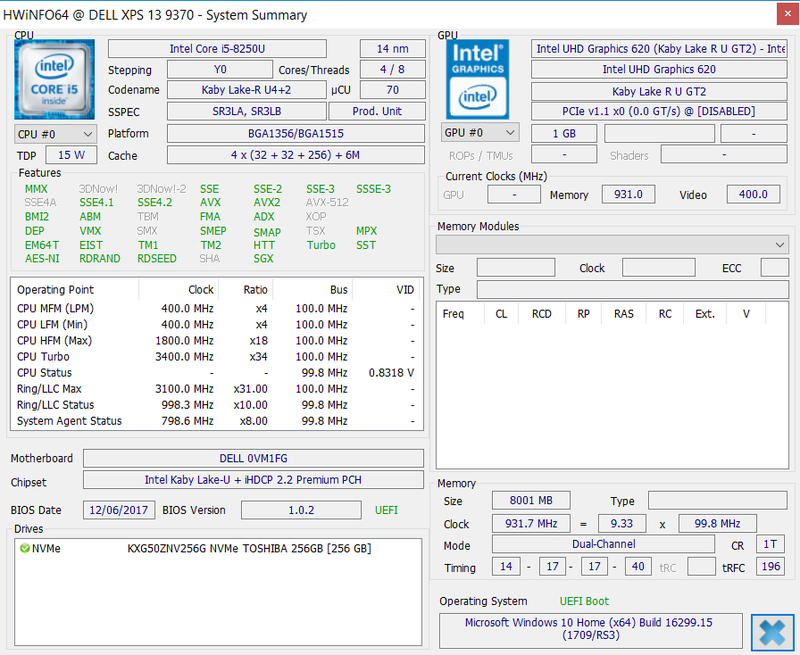 The two fans of the new XPS 13 9370 (previously only one) are often very quiet or even silent in practice. We also noticed that the passive cooling characteristics are not bad for a small device, because the fans only start spinning after 90 seconds in 3DMark06, before we can measure 31.2 - 32.2 dB(A). The fan speed is quickly reduced when you do not stress it anymore. We measure between 34 up to 37.3 dB(A) under heavier workloads depending on the CPU load. All in all, this is a good performance and is also a bit quieter than the 9360 with the Kaby Lake-R CPU. Dell equips the new XPS 13 9370 with a special insulation (GORE) under the keyboard to reduce the surface temperatures. There is also an additional fan for the temperature management. Contrary to our 4K touchscreen unit, we did not notice any hot spots while idling and the average surface temperatures did not surpass 23 °C. The chassis obviously warms up quite a bit under load (especially the upper part of the keyboard), but the results are still very good considering the performance utilization and the slim construction. It is not uncomfortable for the fingers, either. The temperatures are no problem in everyday situations and you can use the device on your lap without any restrictions. By the way, the warmest spot is the lower right bezel, where the exhaust heat hits the chassis. We measured up to 46.5 °C at this spot during the stress test. 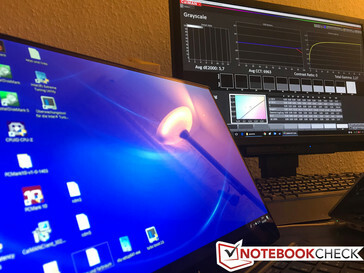 (±) The average temperature for the upper side under maximal load is 37.1 °C / 99 F, compared to the average of 30.7 °C / 87 F for the devices in the class Subnotebook. (±) The maximum temperature on the upper side is 44.2 °C / 112 F, compared to the average of 35.8 °C / 96 F, ranging from 22 to 57 °C for the class Subnotebook. (+) In idle usage, the average temperature for the upper side is 22.8 °C / 73 F, compared to the device average of 30.7 °C / 87 F.
(-) The average temperature of the palmrest area of similar devices was 28.6 °C / 83.5 F (-2.6 °C / -4.7 F). 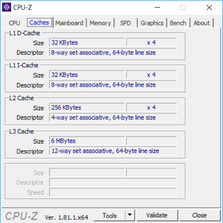 The processor consumes around 50 W at the beginning of the stress test with the tools Prime95 and FurMark, even though it does not even reach its maximum clocks. 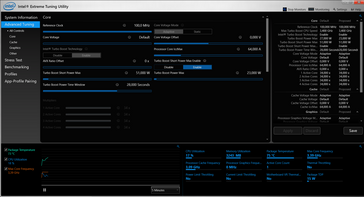 The CPU fluctuates between 2.4 and 2.9 GHz, while the GPU runs at 1000-1050 MHz. The maximum clocks would certainly require another 10 W or so. This shows that the 15 W TDP classification for the new quad-core ULVs is basically just marketing. 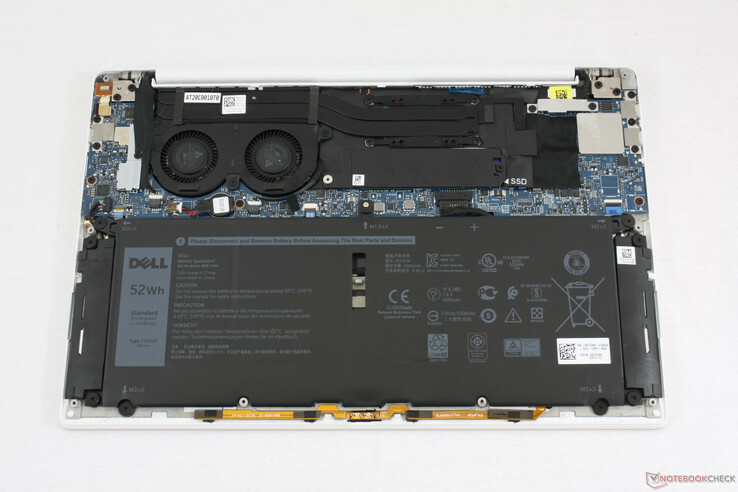 It is no surprise then that the cooling solution in a slim device like the XPS 13 9370 cannot handle this for longer periods. The CPU temperature hits 98 °C after just a couple of seconds, before the clocks are reduced significantly (4x 1.5 GHz CPU, 900 MHz GPU). The values drop further over the course of the test – on average 4x 1.4 GHz CPU and 820 MHz GPU at a temperature of 78 °C after 1.5 hours. This means the XPS can cool 22 W for sustained periods, which easily surpasses Intel's 15 W classification. Even some bigger and thicker Ultrabooks struggle with this. By the way, the performance was identical with both power plans (Dell and Balanced). 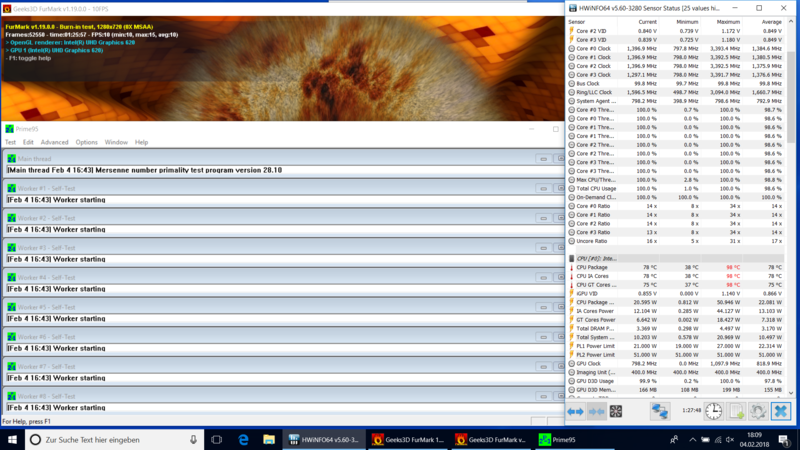 The 3DMark 11 results were not affected immediately after the stress test. There are no apparent changes when it comes to the stereo speakers (1 W each). They are still located at the front of the sides. Dell ships the XPS with the preloaded MaxxAudio software, which was active for our measurements. 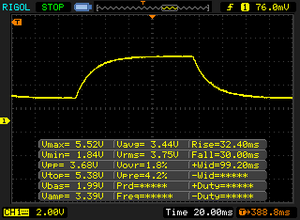 The small modules can be quite loud at up to 82 dB(A), but the sound lacks power. However, this is not surprising for such a slim device. The speakers are fine for YouTube videos, some background music, and Skype. You can attach headphones or external speakers via stereo jack or Bluetooth, which worked well in our test. Dell has managed to further decrease idle power consumption when compared to the XPS 13 9360 with FHD display. As expected, the optional 4K screen comes at an energy premium, especially at maximum brightness. Our energy meter showed more than 50 W under load for a short while but settled at around 40 - 44 W after a few seconds. Power consumption in standby was a bit confusing, to say the least. Our energy meter read 4.1 W for the first five minutes and 0.61 W afterwards. The device’s smaller battery (52 vs. 60 Wh) and its impact on battery life was subject to much speculation. 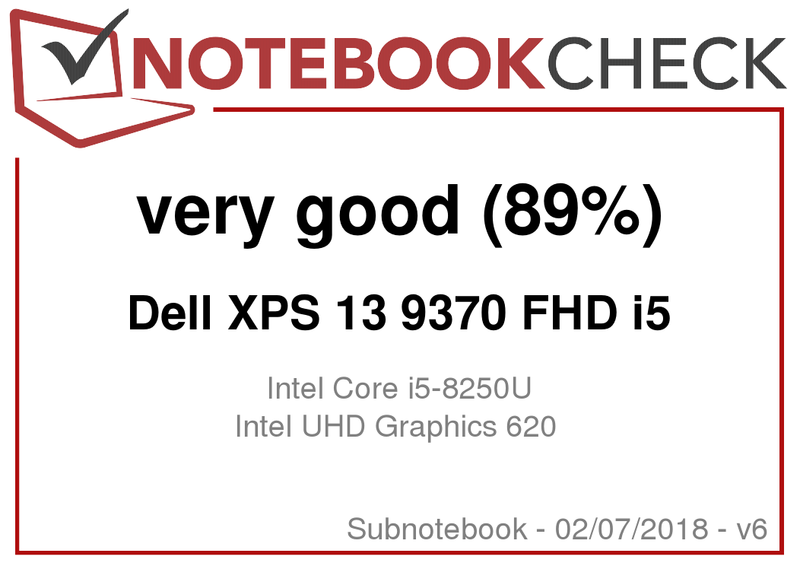 After running our initial tests we can assure you that the new XPS 13 held its own. It lasted for 10:44 hours in our Wi-Fi test, which is only slightly shorter than last year’s FHD model. Disabling CABC further reduced battery life by another 21 minutes, and the effect was thus not as bad as some might have feared. While running our own tests, we received the battery life results for the 4K model. This particular SKU did not perform that well in our Wi-Fi test and ran out of power after less than 7 hours due to the combination of a high-resolution display and a smaller capacity battery. The FHD SKU is an excellent device for watching movies: Our Big Buck Bunny short film (H.264, FHD) ran for a whopping 14 hours. Under load, the CPU's higher performance and power consumption reared their ugly heads once more, and the XPS 13 9370 ran out of juice after around two hours. The battery reached 50% charge level after 45 minutes, and a full charging cycle takes approximately 2.5 hours. 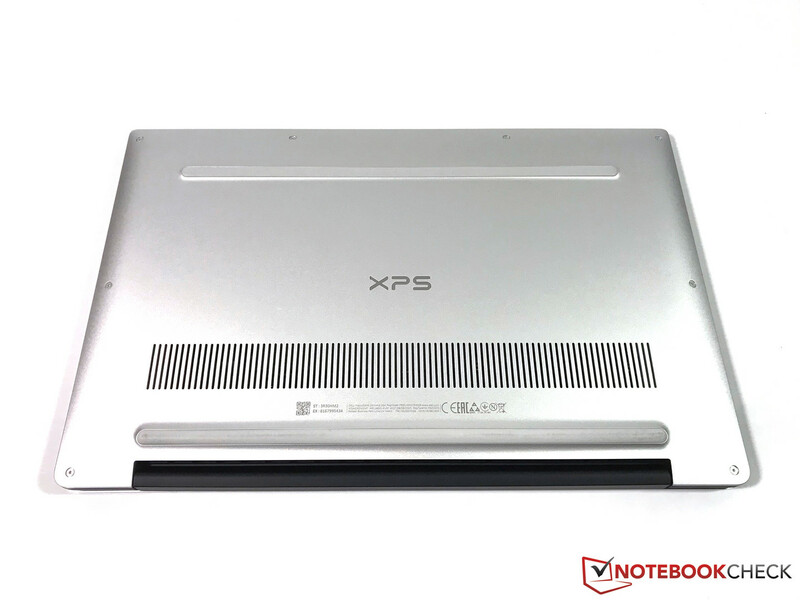 The new XPS 13 9370 is supposed to continue the success of the previous years. The old model was hardly outdated and was also up to date in terms of the performance, but the competition never rests. 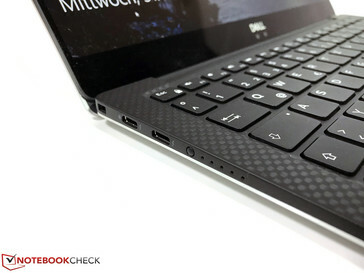 Dell decided to make the new laptop slimmer without changing the basic design of the system. You know this is an XPS 13, especially the black SKU. However, this is not a criticism since the case is still very sophisticated and well built. The slimmer chassis still resulted in some compromises compared to the previous model. This starts with the stability of the base unit, which is still very good, but the predecessor was stiffer. Our test model also produced some creaking sounds when we tried to twist it. Another disadvantage is the even slimmer display. The stability is remarkable, but this is also achieved thanks to the additional glass layer, which is now used on all models. It does not matter whether you want a touchscreen or not, you will always get a glossy panel. Then there is the problem with the ports. 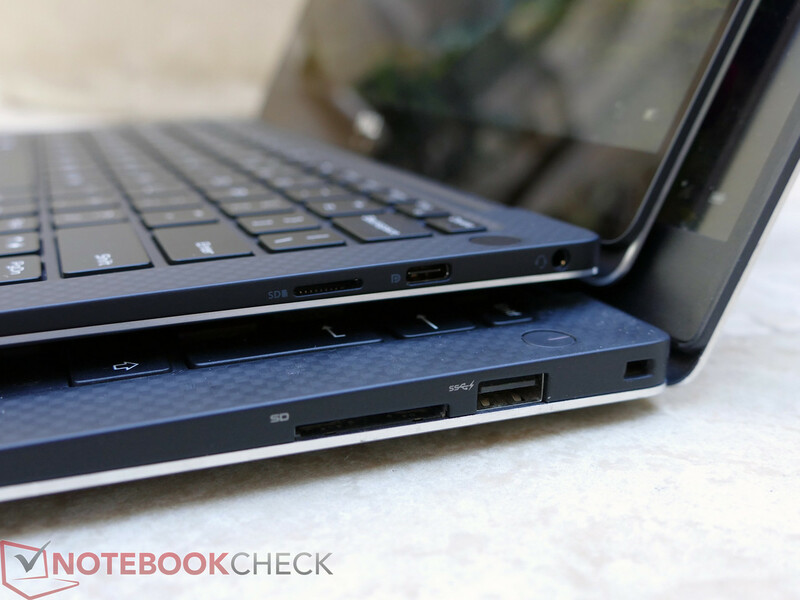 Dell unfortunately replaced the full-size SD reader and all the USB ports are Type-C, so you will probably need an adapter. There are also other improvements besides the slimmer chassis. The Full HD display is just a bit darker than the more expensive 4K screen, but otherwise it is very decent. We were only surprised by the high response times, but this applies for the 4K UHD SKU as well. Both the system performance and the performance utilization of the quad-core ULV processor are very good. The new cooling solution works well and the fans are not too loud. 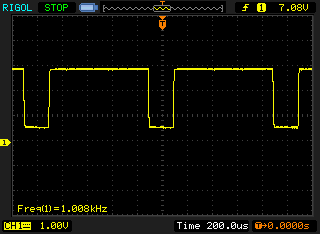 There is still some coil whine, but it is usually not audible. 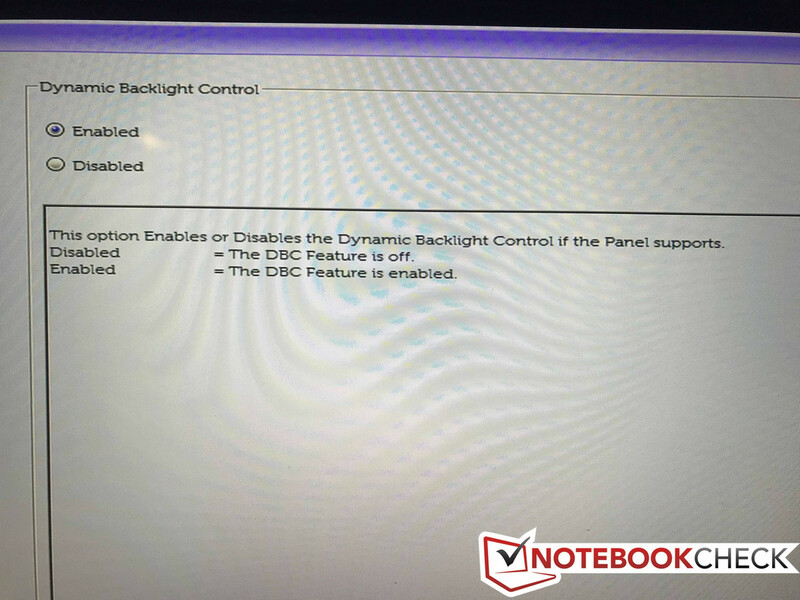 It seems Dell also listened to the criticism about its dynamic backlight control. It is only active on battery power by default, but you can turn it off completely via BIOS. The effect on the battery runtime is not huge. 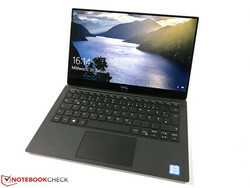 The new XPS 13 is still a very good choice for consumers looking for a compact laptop with a high-quality case and sufficient performance. There are some compromises compared to the previous model, but this is the case for many of the rivals as well. 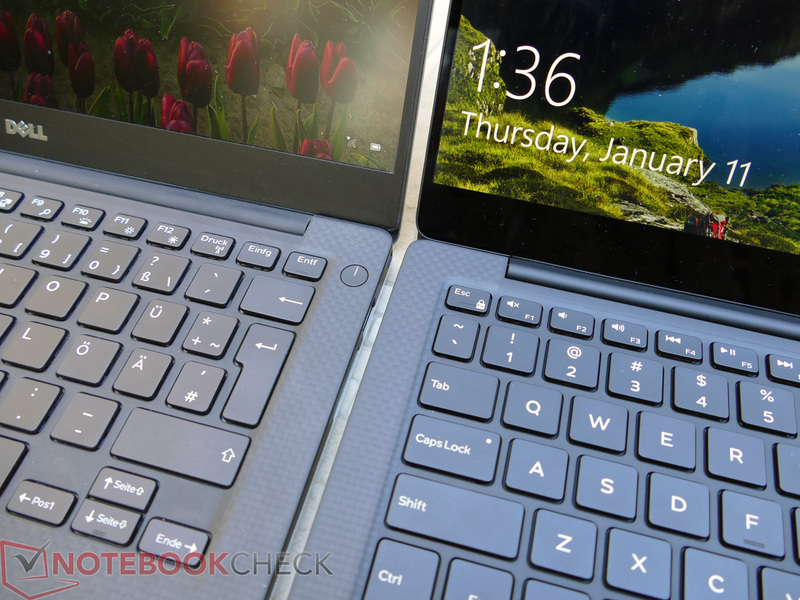 So which model should you get if you are interested in the XPS 13? We already tested both display options and you can definitely go for the standard 1080p model unless you must have a touchscreen or the 4K resolution. The brightness is a bit lower (but still very good), but the other measurements are comparable. There is one big difference though, because the 4K model consumes much more power and the practical battery runtimes are much shorter. The optional Core i7 should not have a big advantage (only in single-core scenarios) over the i5, either. All in all, the entry-level model is the better mobile companion, not least thanks to the better stamina.